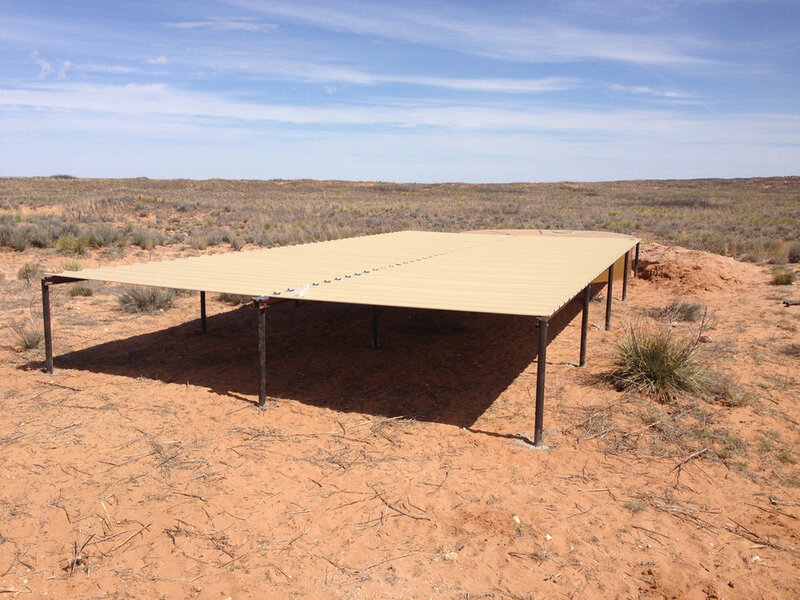 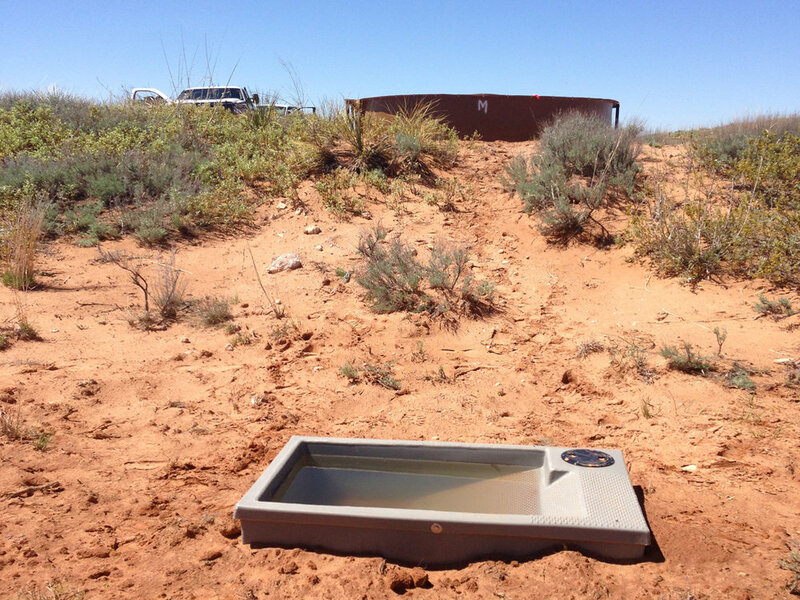 BLM has installed two gravity feed drinker systems east of Roswell NM at an elevation of 3800 ft. 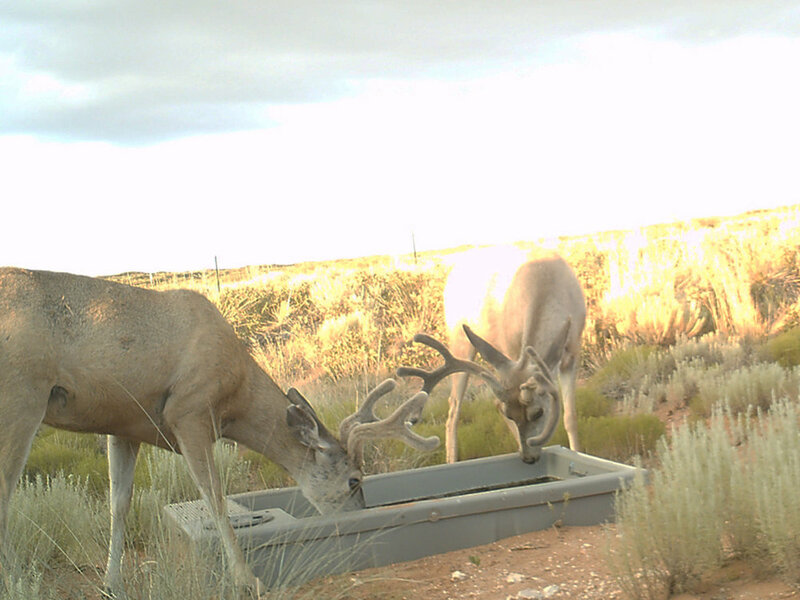 The water source for these drinkers are 6000 gallon storage tanks with 40' x 20' catchments. 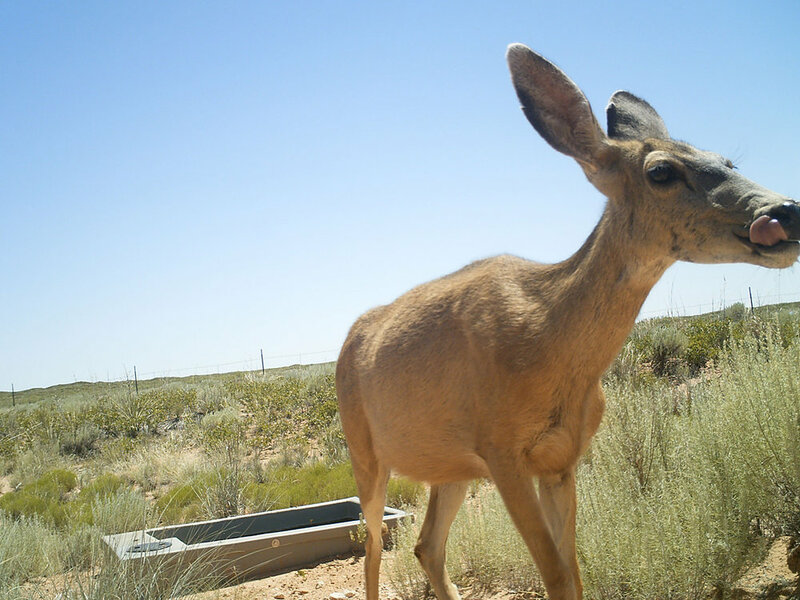 These large capacity systems provide a long-term, consistent supply of water for mule-deer, pronghorn and various high desert wildlife. 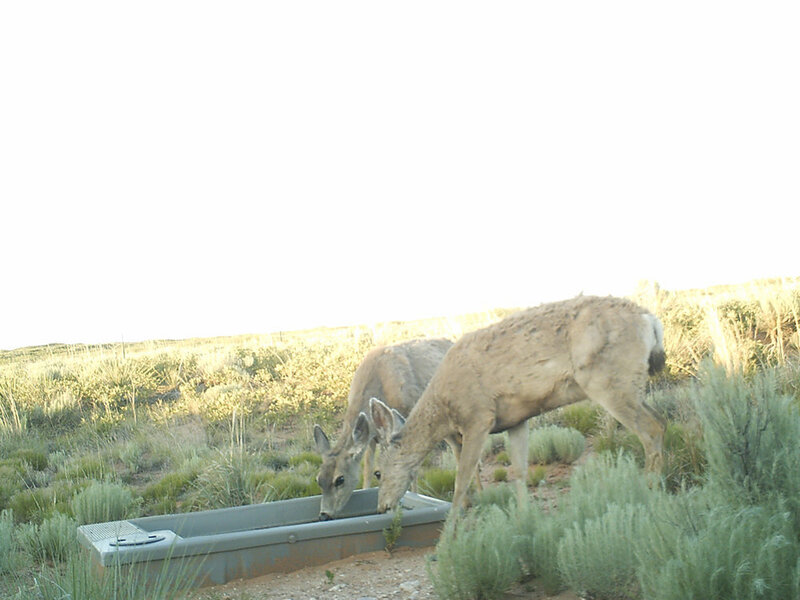 (Note: Drinkers are mounted about 4-6 inches out of the ground. 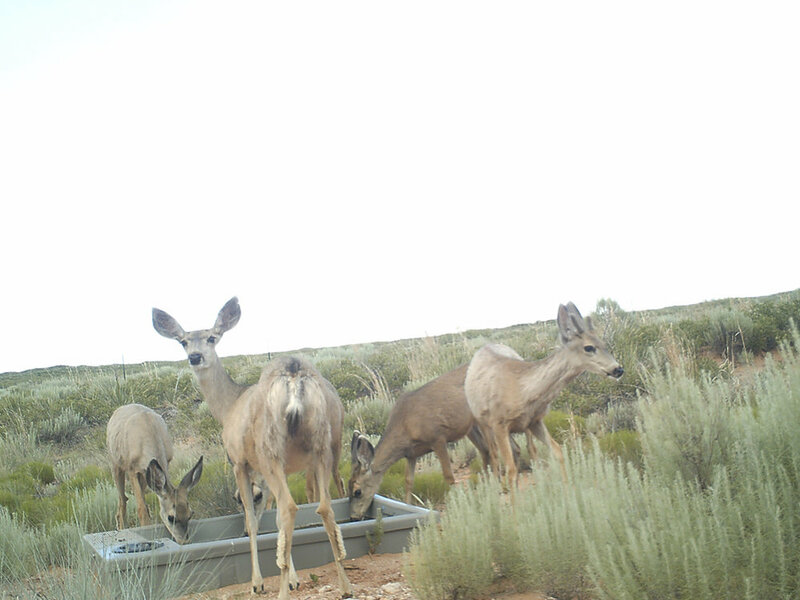 This reduces the amount of dirt being blown into drinker) Photos courtesy of Randy Howard BLM, NM.